Rett syndrome (RS) is an X-linked neurodevelopmental disorder mostly involving mutations in the gene for methyl-CpG-binding protein 2 (MECP2). Ganglioside abnormalities were previously found in cerebrum and cerebellum in RS patients. We evaluated total lipid distribution in cerebrum/brainstem, hippocampus, and cerebellum in male mice carrying either the Mecp2 tm1.1Bird knockout mutation or the Mecp2 308/y deletion mutation. The concentration of the neuronal enriched ganglioside GD1a was significantly lower in the cerebrum/brainstem of Mecp2 tm1.1Bird mice than in that of age matched controls, but was not reduced in the Mecp2 308/y mice. No other differences in brain lipid content, including myelin-enriched cerebrosides, were detected in mice with either type of Mecp2 mutation. 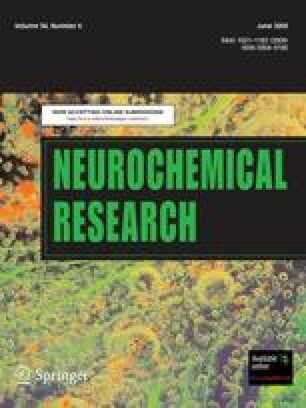 These findings indicate that the poor motor performance previously reported in the RS mutant mice is not associated with major brain lipid abnormalities and that most previous brain lipid abnormalities observed in RS patients were not observed in the Mecp2 tm1.1Bird or the Mecp2 308/y RS mice. This work was supported in part from NIH grant (NS055195), the Rett Syndrome Research Foundation (RSRF) and the Boston College Research Expense Fund. We would like to thank Dr. Zhaolan Zhou and Dr. Michael Greenberg (Children’s Hospital Boston, Harvard Medical School) for providing us with the Mecp2 Bird mice used in our study. We also thank Nicholas C. Zimick and Christie L. Fritz for helping with the breeding and genotyping of the mice.